At Aevitas, we have perfected the art of transforming your smile! Creating a beautiful smile is more than just lightening the shade of your teeth or ordering a one-size-fits-some set of porcelain veneers. At Aevitas Dentistry, our Newmarket dentists provide a unique approach to transforming your most important facial feature – your smile. We use CEREC 3D technology so many restorations can be completed in a single appointment! Dreaming of a straighter, fuller smile that looks as if it came straight out of Hollywood? Veneers offer dramatic results. 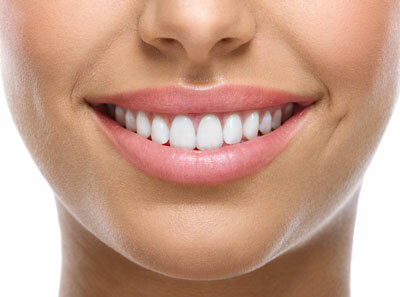 Our porcelain veneers are long-lasting and high quality. They are an excellent solution for both minor and more severe cosmetic concerns including enamel discoloration, staining, misshaped teeth, gaps between the teeth, and broken or chipped teeth. During the procedure, thin porcelain shells are bonded directly over your natural teeth, creating the impression that your entire tooth has been transformed. Once a porcelain veneer is bonded to the tooth, the tooth looks perfectly straight, white, and everything you’ve always wanted it to be. In addition to providing transforming porcelain restorations, we pride ourselves in offering beautiful same-day composite veneers that are available at a fraction of the cost. Dr Dylan Yung has spent years studying the art of chairside composite veneers and lecturing around the world, sharing his techniques with peers in the industry. Missing teeth can impact your confidence, dental health and natural biting patterns. With implants, we are able to replace your tooth permanently with an anchored crown, bridge or denture. Implants are placed in our Newmarket clinic or at a nearby periodontist with whom we work very closely with. Crowns, or “caps” as some call them, are custom-made covers for teeth that have had a root canal (leaving very little tooth structure), cracked or weakened teeth or teeth that are so decayed that a regular filling isn’t sufficient. At Aevitas Dentistry, we use CEREC 3D technology so the whole process from start to finish only takes a single appointment! With CEREC, we can customise your crown using 3D technology to scan your entire jaw. This ensures your crown is a perfect fit and blends seamlessly with your other teeth. Tooth enamel naturally absorbs discoloration the older that we get. Lifting years of stain from your smile can compliment your other cosmetic treatments, or be effective on its own. You can even whiten while wearing Invisalign! After a clean, we brighten your teeth with ZOOM! Whitening right here in our clinic. We’ll even give you a take home kit to top up your whitening later. If you prefer to do it on your own, ask about our custom home kit. At Aevitas Dentistry, we provide our Newmarket patients with a variety of cosmetic options to fit their long-term goals and budget needs. To find out more, schedule your consultation with us today by calling 09 368 9228.